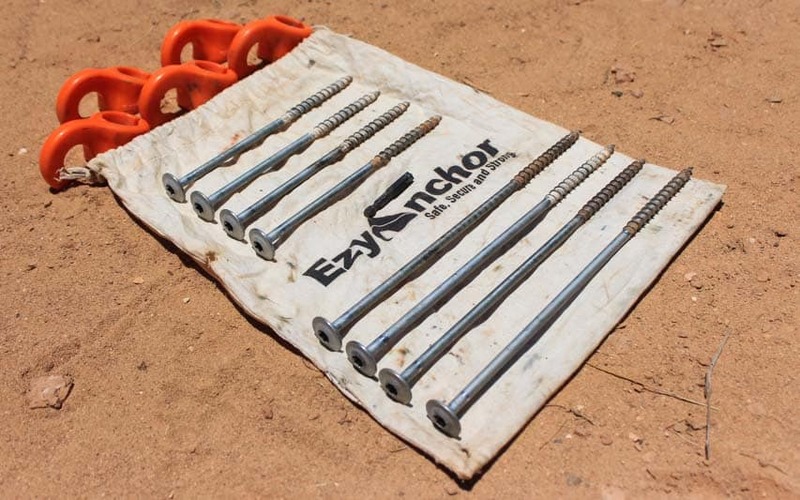 Introducing the new Aussie made alternative to traditional tent pegs; Ezy Anchor. We put them to the ultimate real world test to see what all the fuss is about. 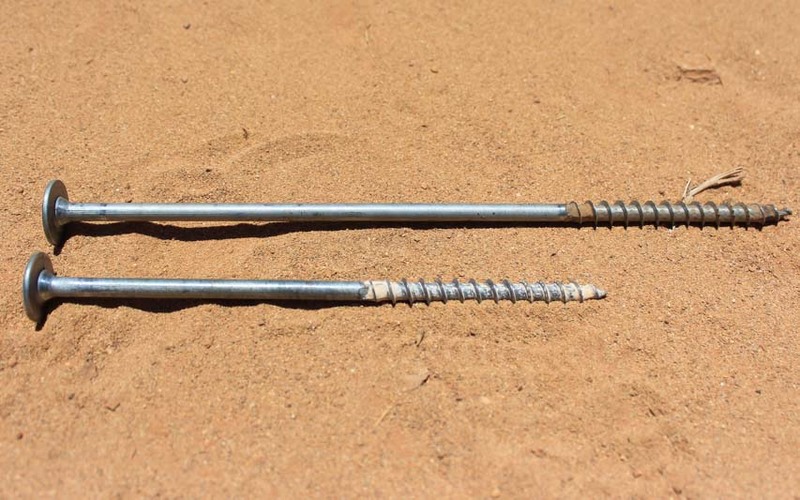 Does anybody actually enjoy hammering in tent pegs or pulling them back out when its time to pack up?…. Nah, I didn’t think so! While the humble tent-peg performs well on a nice, soft grassy surface. Most real world camp sites don’t have this luxury and traditional tent pegs are a nightmare to use when camping on harder ground. After bending more than a few good quality tent pegs and spending way too much time hammering in pegs each time I setup camp. I was on the hunt for an alternative. 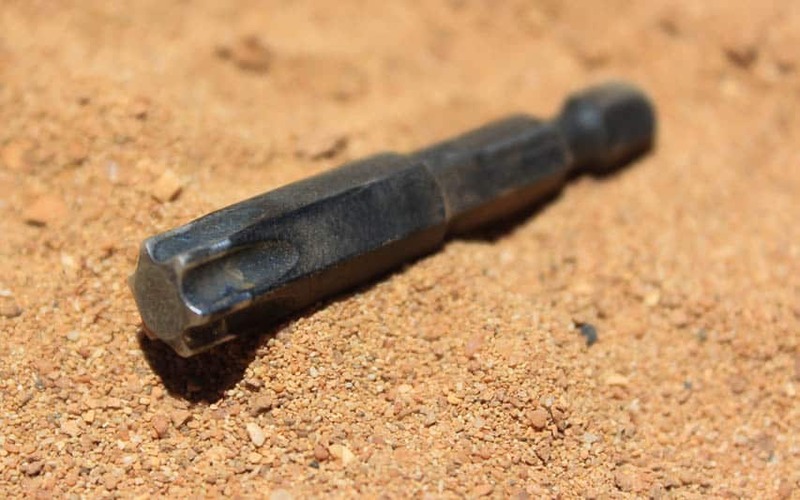 4 x 200mm long pegs designed for use in harder “inland” conditions. 4 x 280mm long pegs designed for use in softer “coastal” conditions. 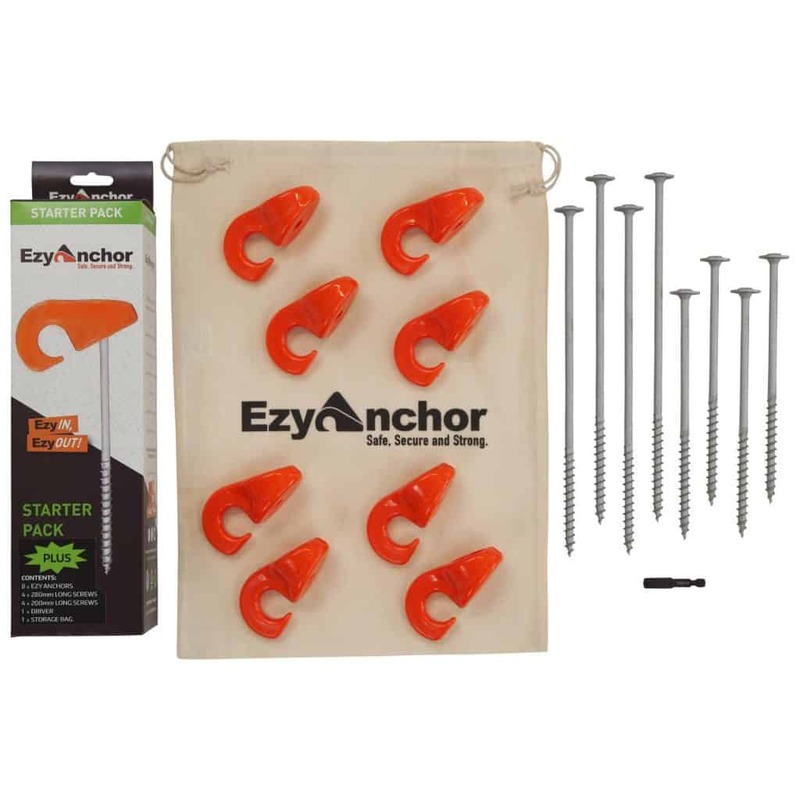 8 x Ezy Anchors – These are the hooks used to connect your guy rope to the pegs. 1 x “Security” style driver bit. There are several kits available with the two different length screw pegs depending on your requirements. 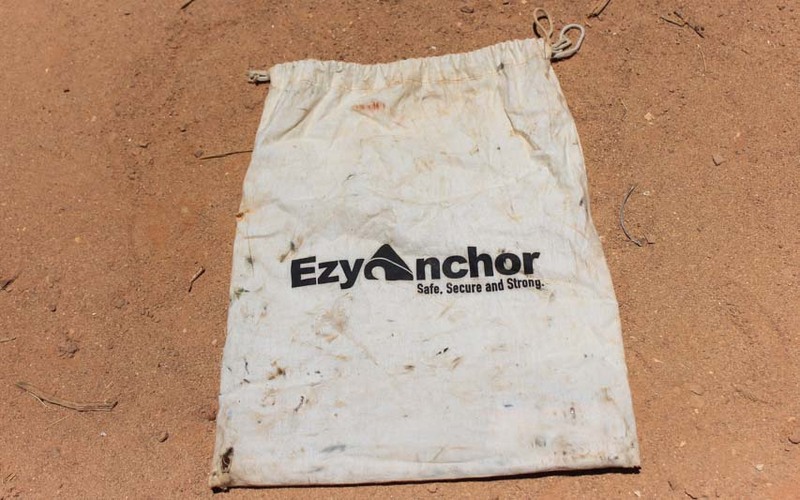 Ezy Anchors are Aussie owned and manufactured in Brisbane. After using the product extensively, it’s obvious they were specifically developed for our tough Australian conditions. During my six months using the Ezy Anchors, I’ve faced three nights with fierce gale force winds (plus countless nights with strong winds). 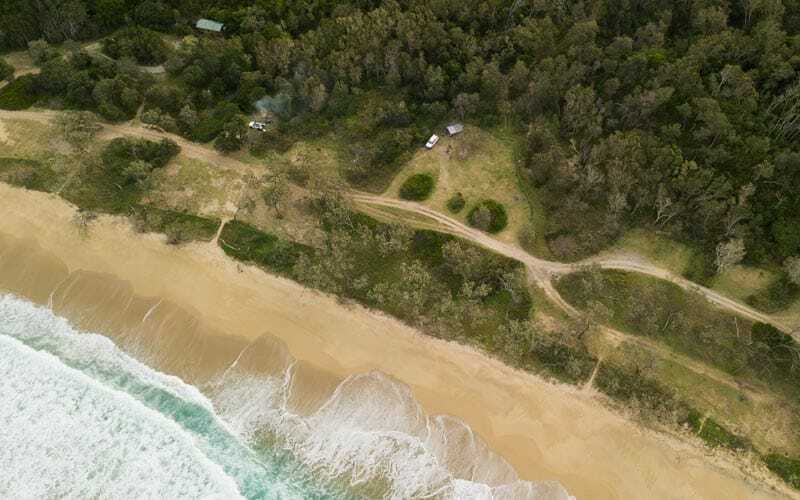 Nights like this aren’t much fun in a camper trailer, but I’m happy to report that our Trackabout camper took it like a champ and all five guy ropes remained firmly connected to the ground thanks to my Ezy Anchors. After months of solid use, the Ezy Anchor pegs are holding up great. 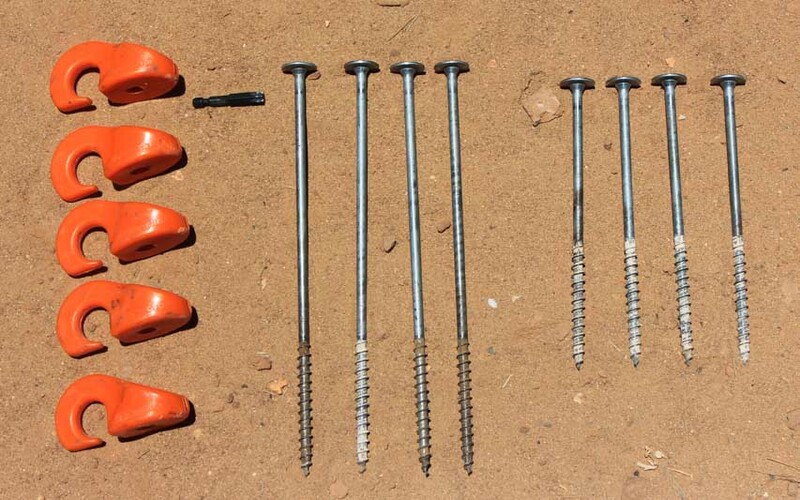 There is no noticeable damage and each screw peg remains sharp, straight and holds in the ground very well. 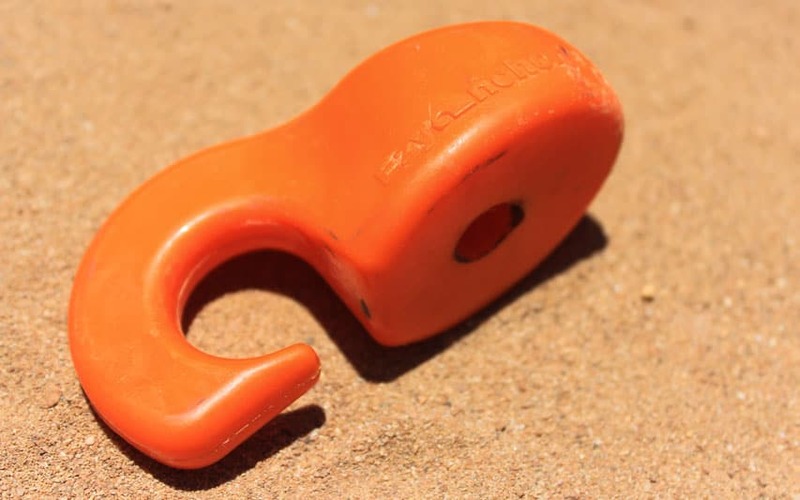 The orange hooks are UV safe and show no sign of hardening or colour fade after countless hours in the harsh Aussie sun. However, the included storage bag is looking a bit worse for ware. The material is a bit too thin and has several holes cause by the screw pegs sharp points. Perhaps a higher quality material would fare better, but this hardly a big issue. The Ezy Anchors are just that, easy (or should I say Ezy?). You simply loop your guy rope over the orange hook, position the screw peg where you want to place it, grab your drill and let it do all the hard work. Job done. I regularly use five Ezy Anchors when pitching our camper trailer and they have definitely sped up my setup time. Not to mention made it a lot easier to set up on difficult surfaces. Such as highly compacted ground found in many National Park camp sites. 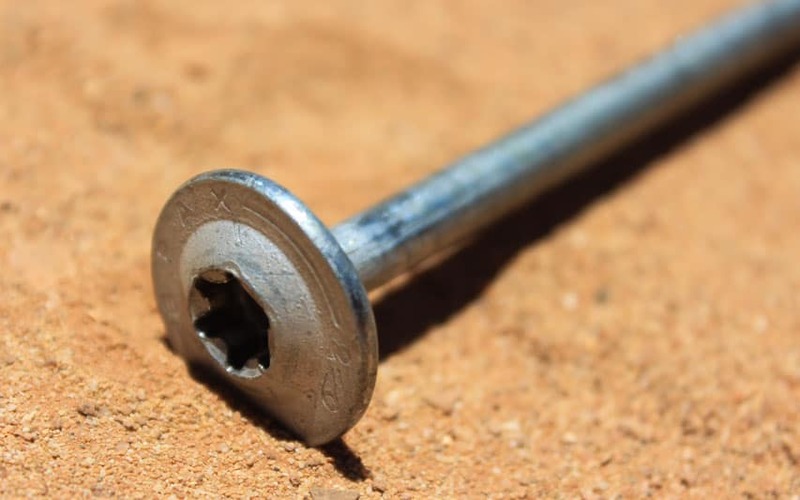 You can also utilise the screw pegs without the Ezy Anchor hooks to secure items like ground sheets. When it comes time to pack up, removal is just as easy. Simply select reverse on your drill and unscrew the pegs in seconds. No more breaking your back trying to pull large traditional pegs out of the hard ground. 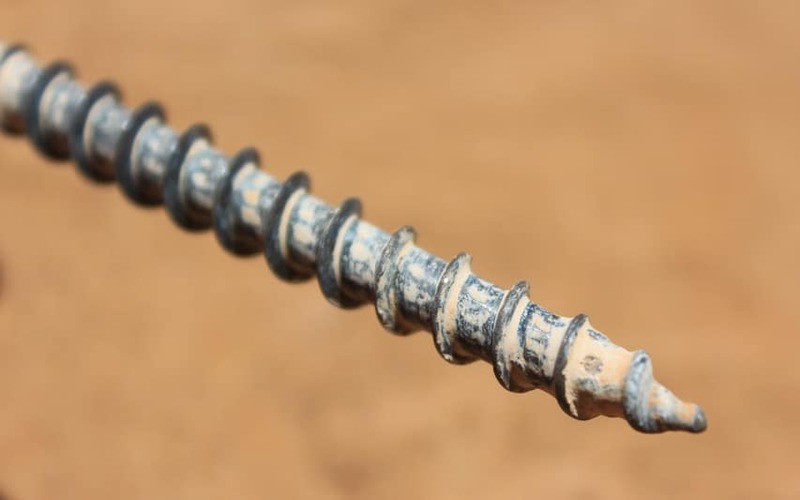 Of course, there are some conditions, extremely rocky ground, or bedrock, for example where you will still struggle to get any peg into the ground. In these situations you may find yourself trying a few different peg placements but with a little trial and error, I’ve always managed to get the ropes anchored. Just don’t expect to drill into solid rock. I’ve said goodbye to hammered fingers, sweaty setups and bent tent pegs. After you’ve tried Ezy Anchors, you will wonder how you ever camped without them. Seriously though, they are a smart little product, which can make setting up camp a lot easier and less frustrating. If you go camping regularly or perhaps live on the road full-time, Ezy Anchors are a fantastic investment. 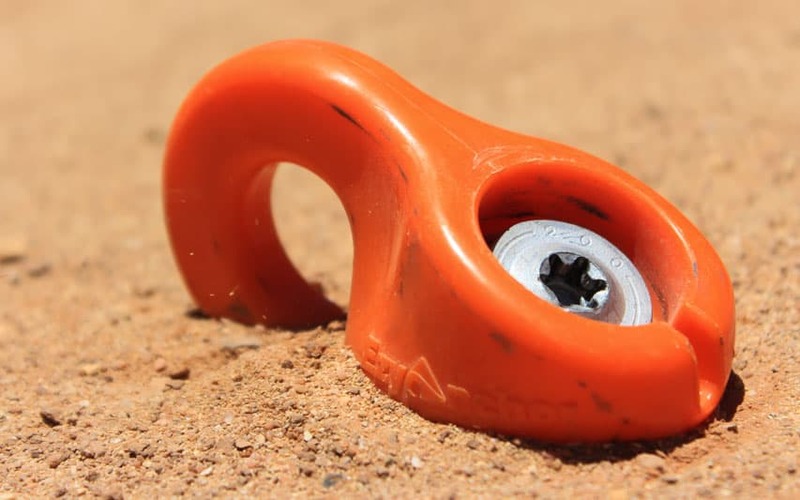 However, if you only go camping a couple of times a year, you can probably put up with bending a few traditional tent pegs now and again but if a fast setup is important to you, it’s hard to go past the speed and ease of use that Ezy Anchor’s provide. 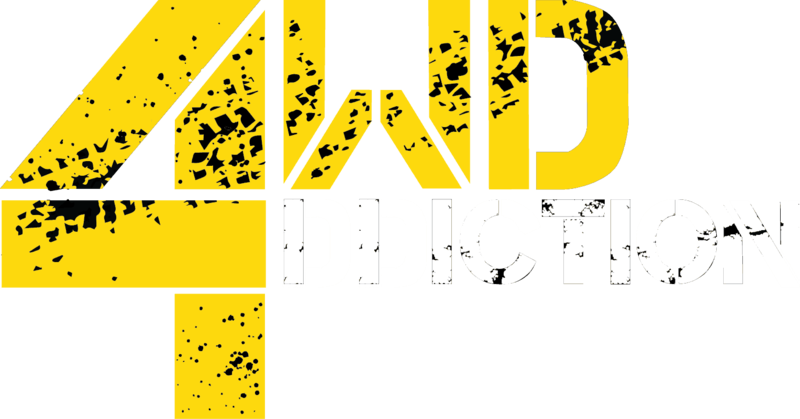 As a special deal for our 4WD Addiction subscribers, we are offering a 10% off discount code for our Ezy Anchor products (Offer valid until 30th April). To get your code simply subscribe to our news letter here. Already a subscriber? Check your mailbox for our April newsletter, your 10% discount code is already in your mail box.